Mike Futch is the President of Tompkins Robotics. He is one of the original leaders that created Tompkins Robotics and brought the t-Sort sortation system to life for global customers. t-Sort is the world's first robotic, truly scalable, portable, and intelligently adaptable automated sortation system that is changing the way firms execute in their supply chains. Mike has been involved from day one in the evolution of this unique and innovation system - recognizing the potential, designing the applications, and creating the value proposition for Tompkins Robotics' customers. He continues to lead the design and forward movement of the company. 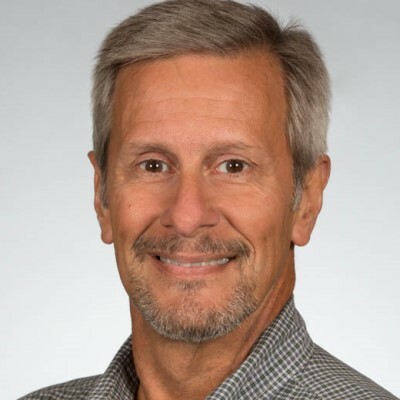 Mike spent his prior career in supply chain consulting and implementations for customers in a range of industries including Pharmaceutical, Retail, Food & Beverage, and Consumer Products. Mike has achieved significant results for clients that have led to bottom line savings, higher levels of performance, enhanced service levels across the supply chain, and an increase in overall shareholder value. He now brings that same level of success to the leadership of Tompkins Robotics and its customers. His client list includes over 200 hundred firms. Mike's work history includes the US Air Force, Tompkins International, Garr Consulting, and Deloitte Consulting, prior to becoming totally focused on Tompkins Robotics.